Charles Curry, founder and managing director of Chronos Technology, accepted the award at the RIN Annual General Meeting held June 10 in London. 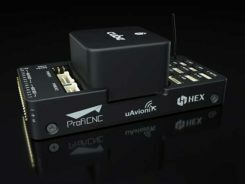 Chronos has worked with the RIN and others since 2008 to raise awareness of GNSS vulnerabilities, and in collaboration with the University of Bath has developed a family of GNSS interference detection products. Chronos first started researching this phenomenon with the University of Bath in the Innovate U.K. project GAARDIAN in 2008, closely followed by the SENTINEL and AJR projects. 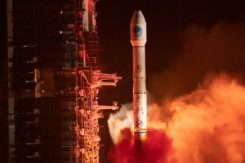 The projects have focused on detecting and locating commercial off-the-shelf jammers mostly sourced from Chinese websites. The first success was seizing the so called “Girvan Jammer” in 2011, when a jammer was recovered from a commercial van driver through collaboration with the serious and organized crime group of the local police. SENTINEL sensors were originally rolled out in 2010 continue to provide real evidence of jamming at various locations around the U.K. The project assists police work by collating jamming events by day and time of day using a cloud-based portal. 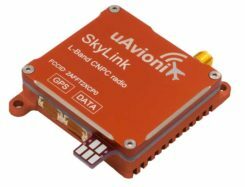 The GPS interference detection portfolio includes low-cost, handheld GNSS interference detectors with features such as data logging and direction finding capabilities to precisely pinpoint a jammer. The latest product to emerge is known as “JammerCam,” and is the first GPS jamming detector in the world to be able to take photographs of a moving vehicle, which is carrying a GPS jammer. This is now in trials with various local police forces and is photographing vehicles with jammers on a daily basis, providing real-time actionable intelligence to the law enforcement officers’ smartphones identifying vehicle type, color and number plate. Early trials with this research are leading to the seizing of at least one jammer per week by U.K. law enforcement agencies. Chronos has demonstrated the ability to work with universities and potential users to develop new, affordable products to meet a genuine need. Customers include U.K. and international law enforcement agencies and military users. 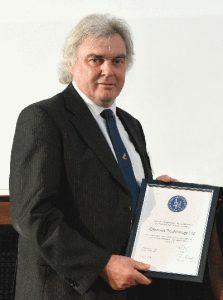 Curry was awarded Fellowship of the Royal Institute of Navigation in 2016 in recognition of his significant and continuing contribution to the practical aspects of time measurement and dissemination, including research into GNSS vulnerabilities and the use of eLoran for precise time. “Chronos is honored to be the recipient of the RIN’s 2018 Duke of Edinburgh’s Navigation Award for Outstanding Technical Achievement,” Curry said. “We could not have done this without our close association with the University of Bath, in particular Dr. Robert Watson and Professor Cathryn Mitchell and their colleagues in the Electrical & Electronic Faculty. Over the years, this association has enabled Chronos to undertake research and bring to the market GPS jamming detection products which have been thoroughly field tested at locations such as Sennybridge in the Brecon Beacons, and other international jamming trials in Norway and the U.S.
“In particular, Chronos was the only British company to be invited to JamX17 in Idaho Falls, U.S., by the U.S. Department of Homeland Security to showcase the detectors’ technology,” Curry said.